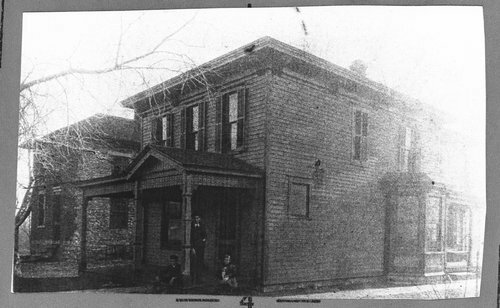 A view of Hale Ritchie's children on the porch of their home. The John Ritchie home is visible in the background. The homes were located in the 1100 block of S.E. Madison Street in Topeka, Kansas.